I know everyone loves browsing the internet for free tabs of songs they want to learn. And, often you are able to find tabs that are good enough to use. 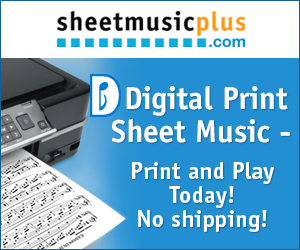 But, when you really want the music as it was published, I've found sheetmusicplus.com is the best resources out there. Click the banner to the left and get ready to explore over 900,000 songbooks, scores, tabs, methods & much much more. Random House has nearly 500 music related books in its portfolio with artists ranging from Ani DiFranco to U2. We are honored to be affiliated with such a well respected publisher. Random House is home to more than 50 Nobel Prize laureates, over 100 Pulitzer Prize winners, and many of the most widely read authors of our time. Click the banner to the left to be taken to Random House's website.